Deep Nutrition (2008) is about modern diets and how they’re making people sick. These blinks explain the danger of industrially produced food, what it’s doing to our bodies and how we can return to an earlier way of eating that will keep us healthier for years to come. 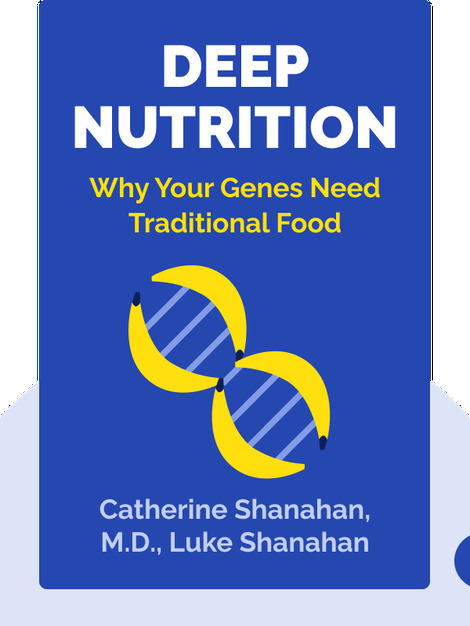 Catherine Shanahan, M.D is a certified family physician who has practiced medicine in Hawaii for over a decade after receiving her education at Cornell University and the Robert Wood Johnson Medical School. 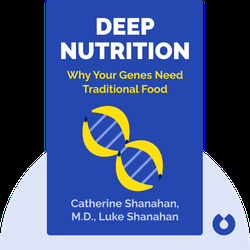 Luke Shanahan, Catherine’s co-author and husband, is a writer, lecturer and graduate of the University of Iowa’s prestigious Writers’ Workshop. His passion lies in literature, art and cooking.